4TB Storage Capacity. Compact and easy to use, the plug-and-play compatible4TB Expansion Portable USB 3.0 External Hard Drive fromSeagate installs quickly, simplifying the process of adding 4TB of storage for your PC. 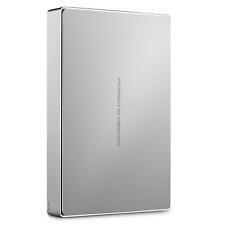 Western Digital My Passport 4TB portable, external hard disk drive. USB 3.0/USB 2.0 compatible. Auto backup with included WD Backup software and password protection with hardware encryption. Set it to your schedule. 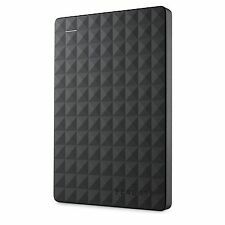 5 out of 5 stars - WD 4TB "My Passport" Portable Hard Disk Drive, New/Factory Sealed! 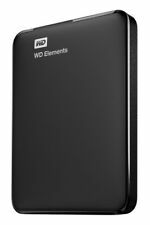 193 product ratings193 product ratings - WD 4TB "My Passport" Portable Hard Disk Drive, New/Factory Sealed! Canvio Basics Portable Hard Drive. Canvio Basics is all you need, wherever you go. Ready to use with your PC (2) and no software installation required. Intuitively drag and drop files to and from your PC or laptop. Part #: WDBCRM0020BBK Condition: Recertified Warranty: Six Month Warranty . This drive will be just fine for backing up all of those computers. If the drive in your mac is bigger, you'll need a larger backup drive. 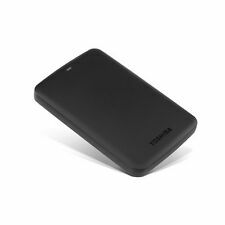 The backup drive should be at least as large as the drive you are backing up. Factory warranty until Aug 2020 Factory Sealed carefully opened verified, inspected then resealed to ensure proper operation. FAST & FREE!!! Straightforward setup, simply plugs in the included USB cable, and you are ready to go. Adopt HD Lock with EAGET security, which ensures your data safety. 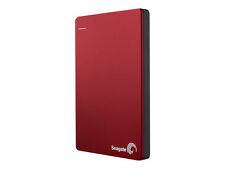 TheEAGET G20 portable hard drive provides extra storage for your ever-growing collection of files. 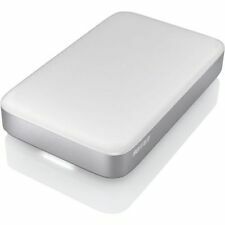 WD Western Digital HDD 1TB USB 3.0 Portable External Hard Drive - White (#302832441797). WD Western Digital HDD 1TB USB 3.0 Portable External Hard Drive - Blue (#302829914720). WD Western Digital HDD 500GB USB 3.0 External Hard Drive - White (#302805894422). 4TB storage capacity. High-speed USB 3.0 allows you full-speed gaming; PlayStation-approved process — you will not void your warranty or PlayStation Network account. Plugs directly into any USB port on your PlayStation 4 console. Only at Best Buy Keep files safe on this 1TB Western Digital hard drive. 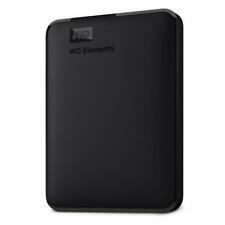 This Western Digital hard drive has a slim design to maximize portability. 1TB storage capacity. WD Discoverysoftware with WD Backupand WD Drive Utilities. 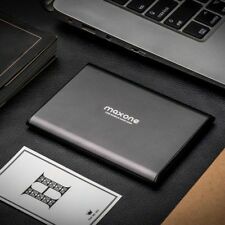 Ultra Slim is Maxone’s thinnest portable drives. At 10 mm thin from 250GB to 1TB. You can get massive capacity with no compromise. Eye-catching gold color perfectly combine with Aluminum finish—style, protective and high storage—and Toss it in your bag and you’re good to go with storage and backup wherever you need to be. 500GB USB 3.0 Portable HD . Item model number HDTB410XK3AA. Series Canvio Basics. Includes Toshiba 1-year standard limited warranty.Ready to use with your PC4 and no software installation required. USB 2.0 compatible with no external AC power cord needed. 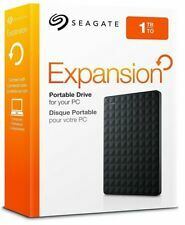 Seagate Backup Plus Slim 2TB Portable External Hard Drive - Black. Condition is New. Shipped with USPS First Class Package. Several on hand. Item model number STEA2000400. External portable hard drive formatted for Windows out of the box. 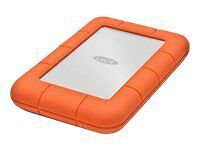 Hard Drive 2 TB Portable. Series Expansion. For Mac compatibility this hard drive requires reformatting. Trending at $66.98eBay determines this price through a machine learned model of the product's sale prices within the last 90 days. Trending at $80.37eBay determines this price through a machine learned model of the product's sale prices within the last 90 days. For 2 TB Portable External Hard Drive Box Case SATA to USB3.0 High Speed Black. WIN8, WIN10 system; 2. SSD SATA3 solid state drive 3. USB3.0 interface. Input: Micro USB3.0. Output: 7 15 SATA. 1 SATA to USB 3.0 Case Box.